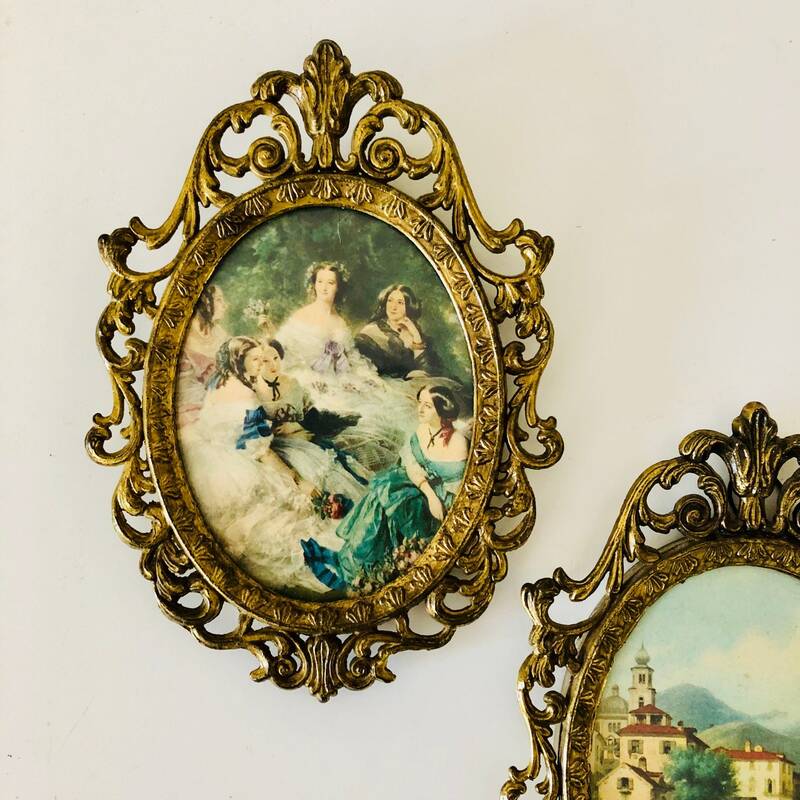 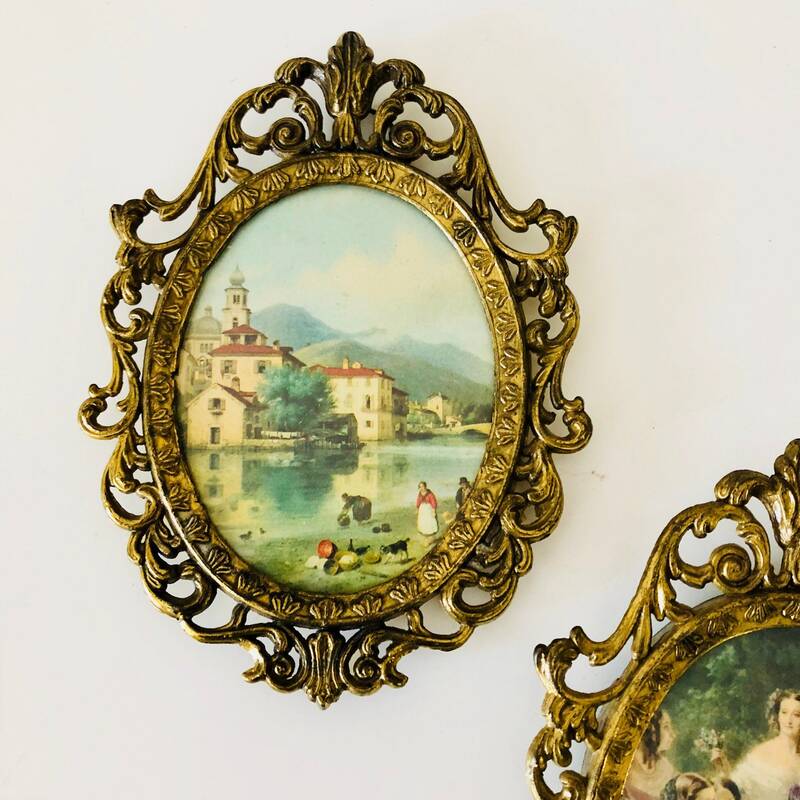 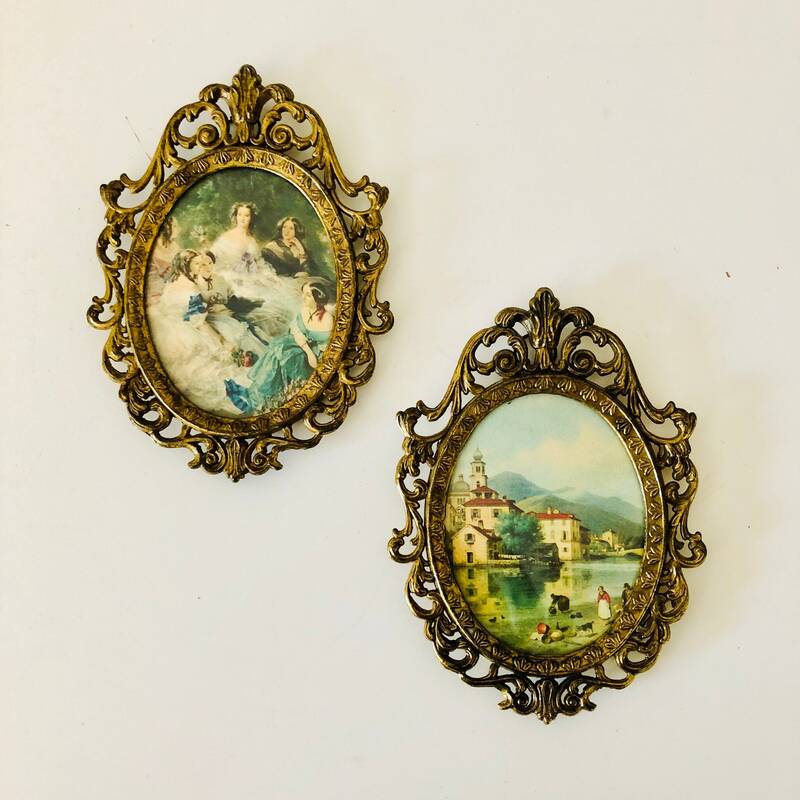 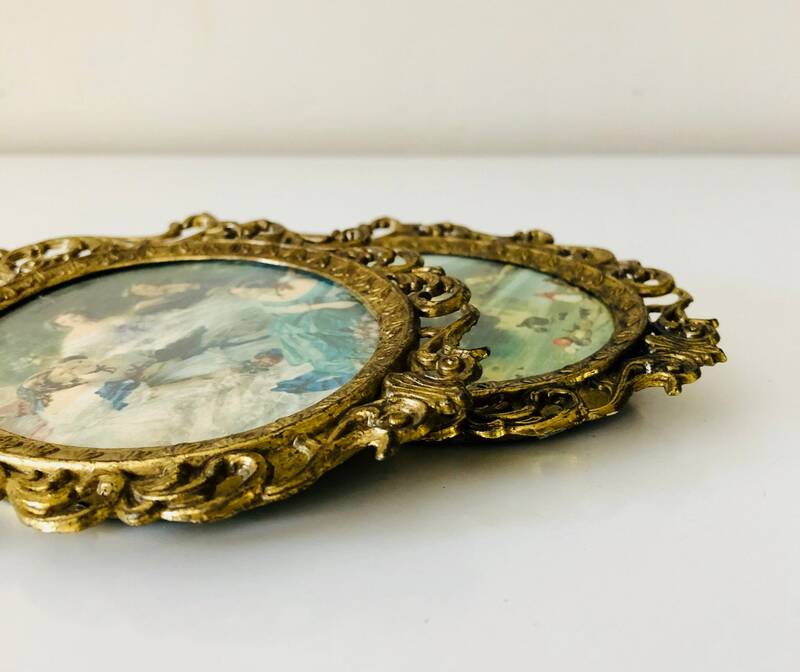 Set of (2) vintage Italian gilded bold brass fames. 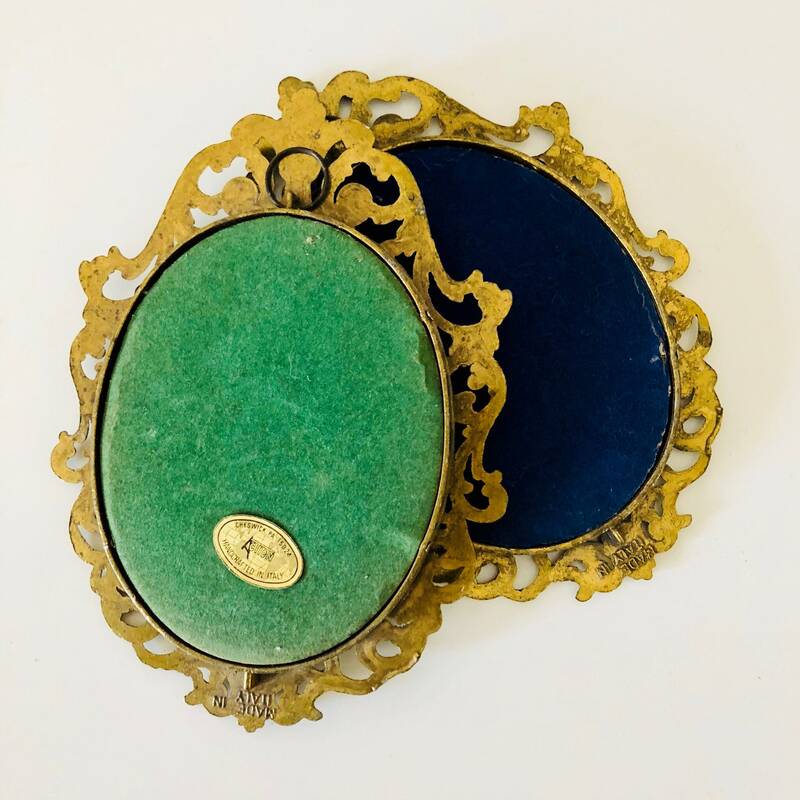 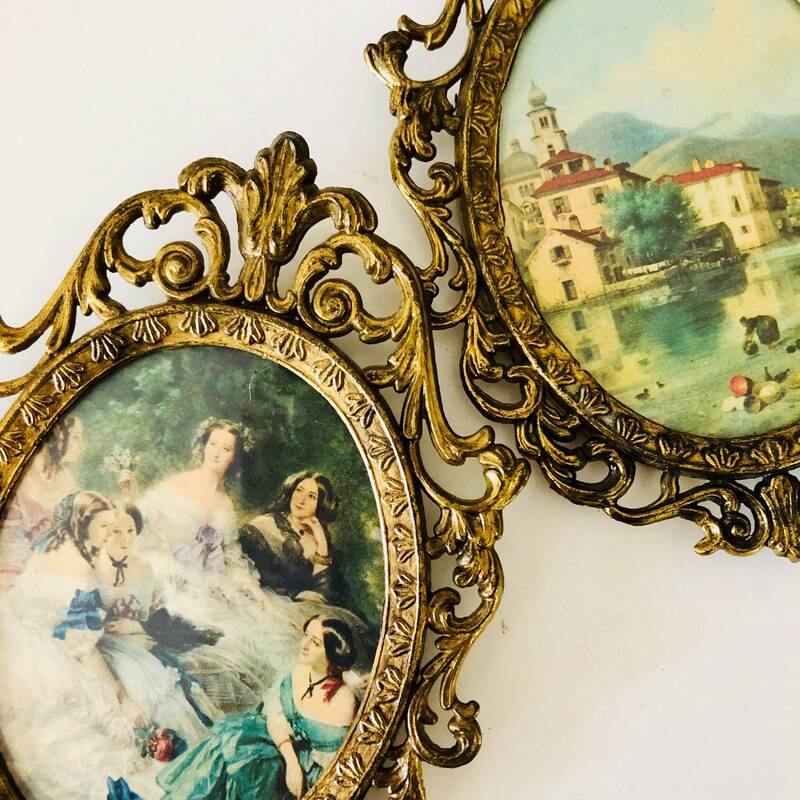 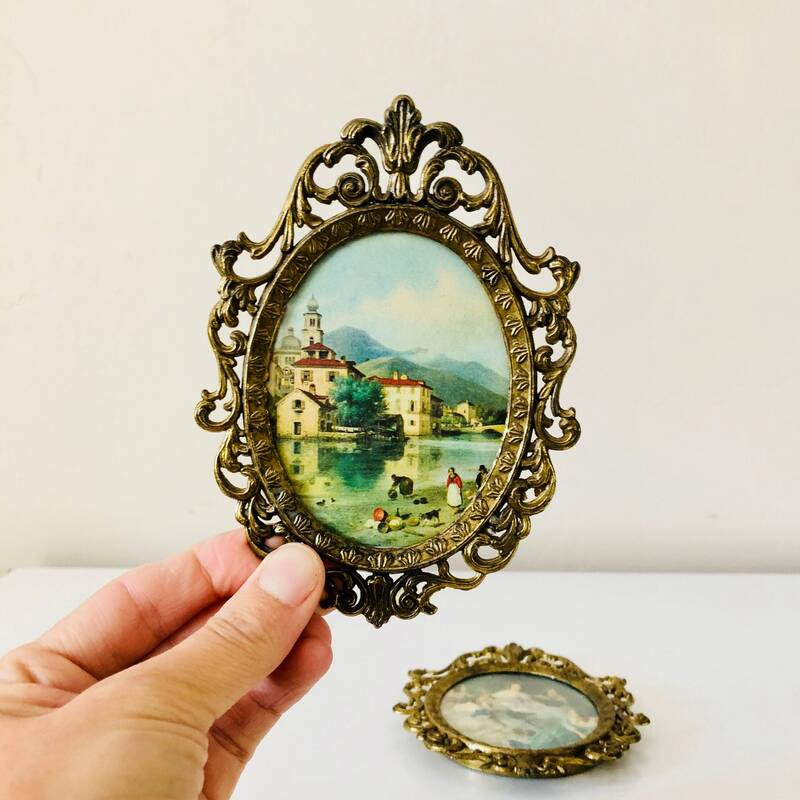 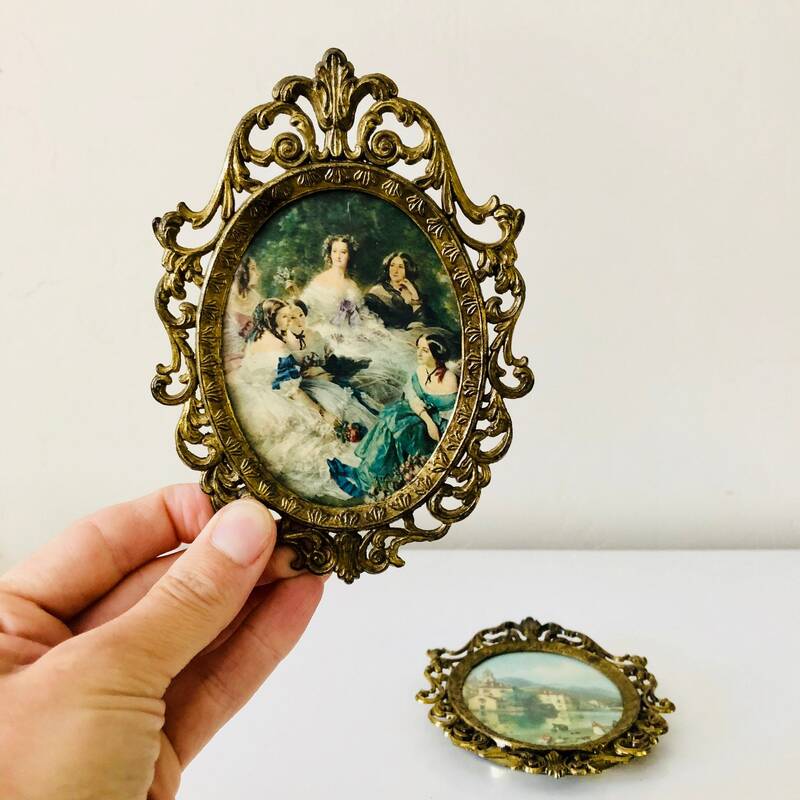 (1) depicts a landscape scene with blue velvet backing + (1) depicts a gathering of formal dressed women with green velvet backing and original sticker. 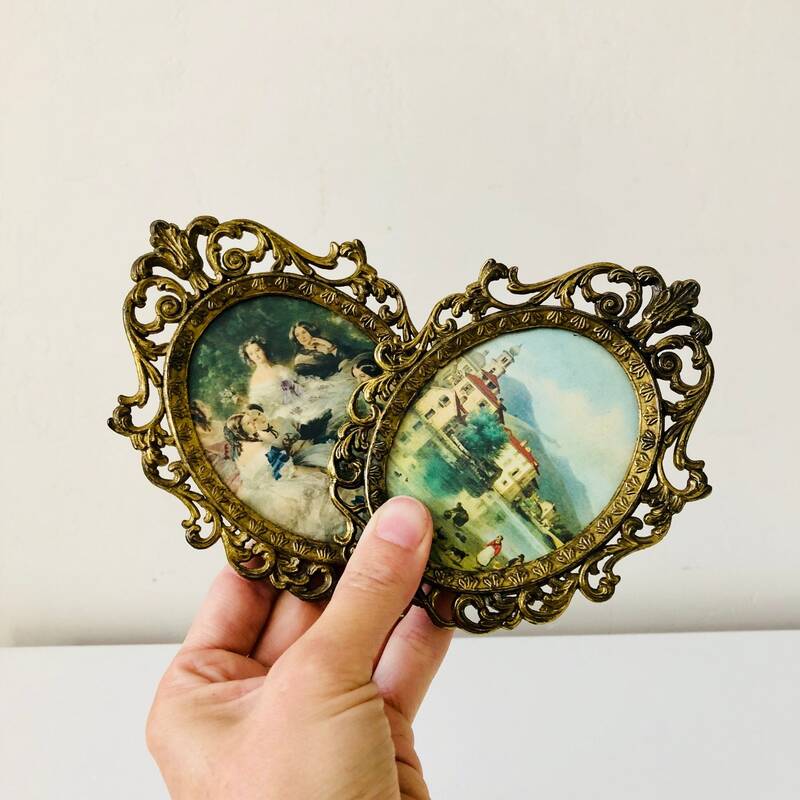 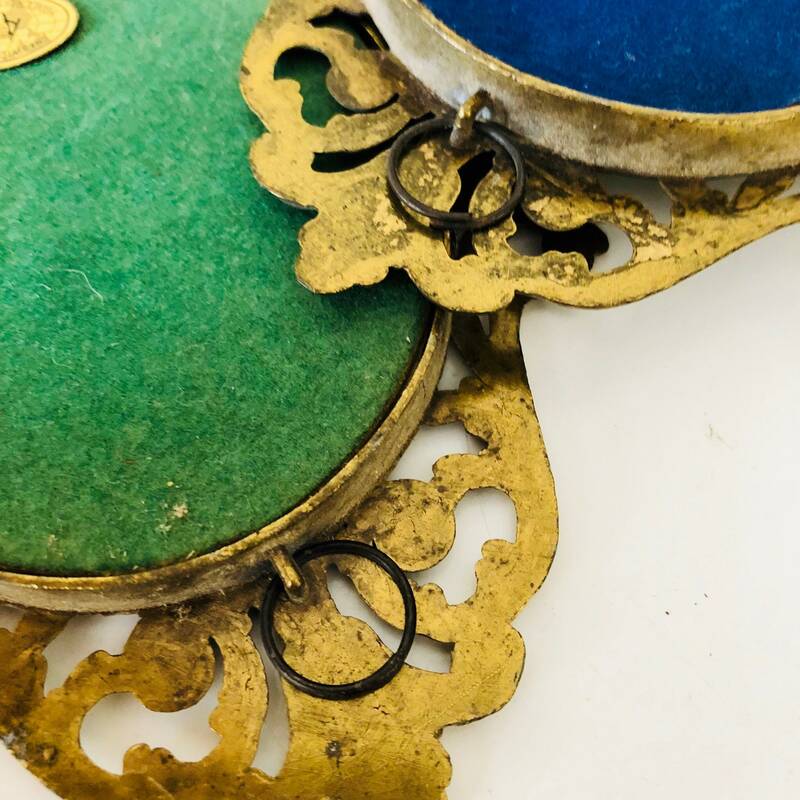 Great for cottage, victorian or shabby chic decor or cluster of bohemian vibe wall hangings.